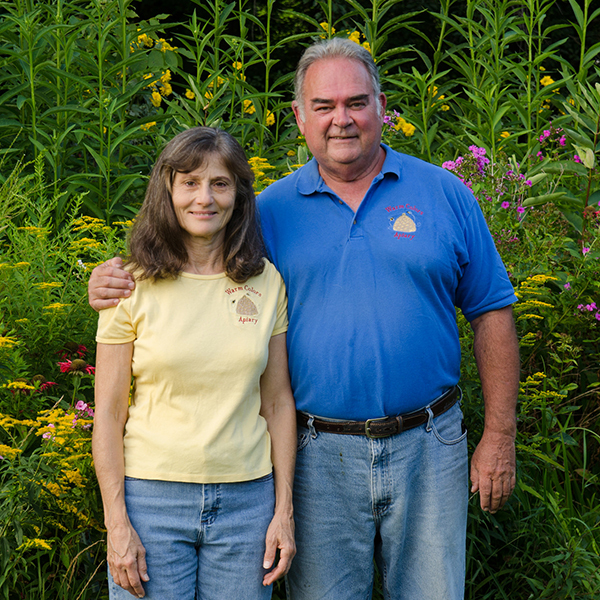 Founded in 2000, Warm Colors Apiary is an 80 acre farm located in South Deerfield, MA, owned and operated by the loving couple Dan and Bonita Conlon. Their farm is just 11 miles from the center of campus. Using the wealth of the honeybees and non-chemical methods, Warm Colors Apiary produces and sells honey and beeswax candles. They also offer educational programs and beekeeping supplies to encourage the health and regeneration of local bee populations. 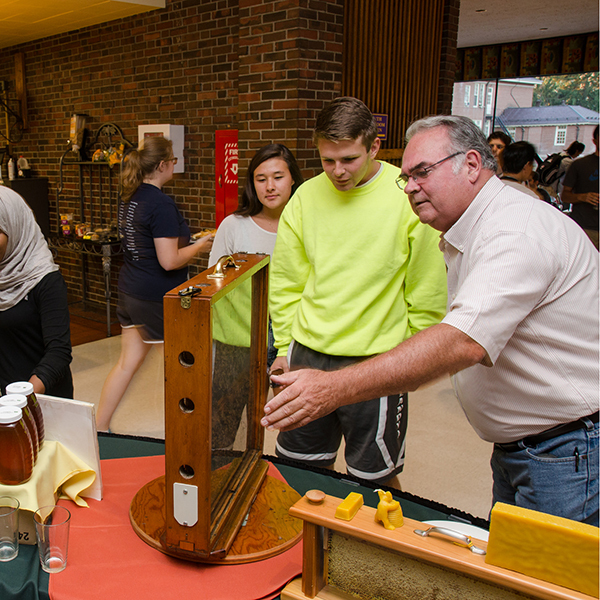 The educational programs aim to teach the importance of the honeybee to our food supply and the environment while also advancing the skills of apiarists. Dan was recognized by the Massachusetts Beekeepers Association as the 2005 Beekeeper of the Year for his outstanding dedication and support of Massachusetts beekeeping. They believe honey is one of the earth’s most perfect foods and have worked hard to share it with their community in a healthy and sustainable manner. Their commitment to the community is clearly shown in their mission statement, “…to promote the art of beekeeping, provide our customers with the finest all natural products, and to practice farming methods that protect and sustain the land”.